A great copycat recipe of Olive Gardens Chicken Alfredo Fettuccine Noodles. It’s one of the easiest copy cat recipes. Boil plenty of water in a large pot and add 1 tsp of salt. 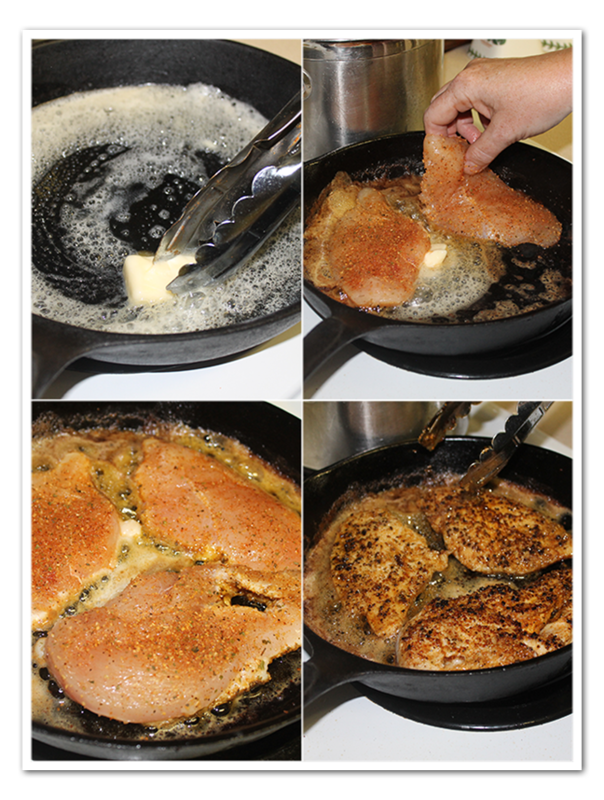 Cut the chicken breast in half and season with the poultry seasoning and Cajun Seasoning. Heat the skillet over medium high heat. Add the 2 tbsp butter and wait till it is slightly brown. Add the chicken breast and brown on both sides. It shouldn’t take but 5 minutes. Take them out of the skillet and let the chicken breast rest. While you are cooking the chicken breast the water should be boiling by now. Add the fettuncine noodles to the water and boil for 12 min. Drain the noodles in the strainer. Making the Alfredo sauce is easy. Put 2 tbsp butter in the pot add the crushed garlic. 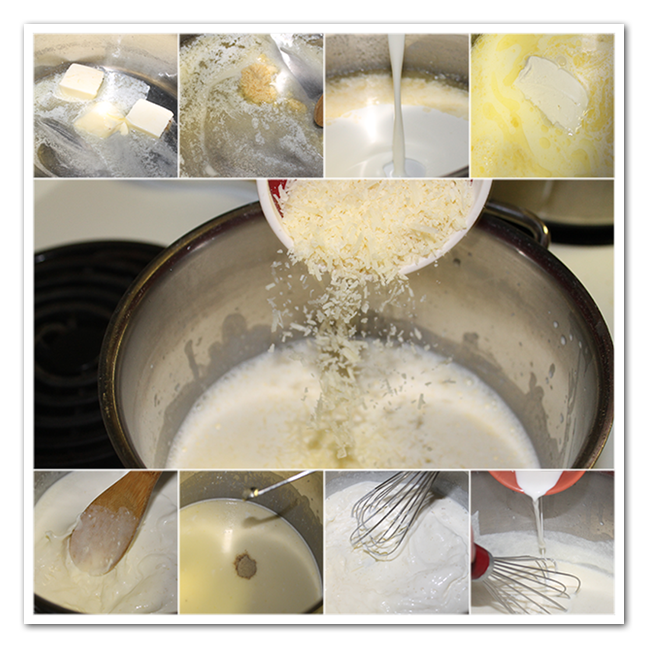 Then add the 2 cups half and half, 1 cup Parmesan cheese, 2 tbsp cream cheese and the white pepper. To make the sauce thicker add the diluted cornstarch mix. 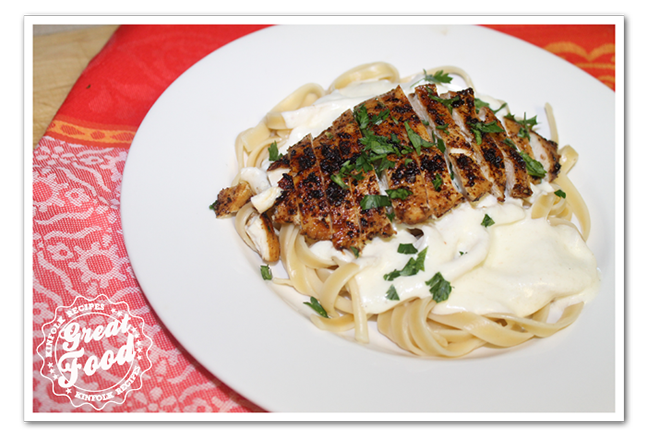 A great copycat recipe of Olive Gardens Chicken Alfredo Fettuccine Noodles. It's one of the easiest copy cat recipes. Heat the skillet over medium high heat. Add the 2 tbsp butter and wait till it is slightly brown. Add the chicken breast and brown on both sides. It shouldn't take but 5 minutes. Take them out of the skillet and let the chicken breast rest. While you are cooking the chicken breast the water should be boiling by now. Add the fettucine noodles to the water and boil for 12 min. Drain the noodles in the strainer. For anyone that may be considering using this recipe, I can honestly give a first-hand account that this meal is great!! The instructions are very simple yet the meal itself is amazing. Seriously, this is a great recipe. I have been given the honor of actually taking in part of this dish and it is seriously a great meal… Homemade! !